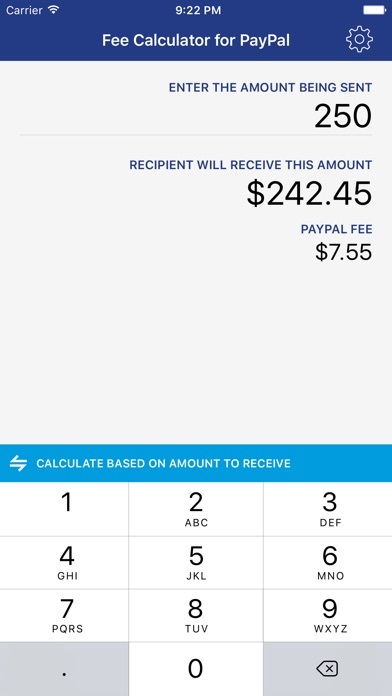 Quickly calculate fees for PayPal, both on amount you want to receive, or amount you are sent. Also includes ability to enter custom fee settings, so you can tailor it to your specific needs. It used to be the perfect app to figure out how much to charge people for items. But today it said if I charged $41.50 I would get $40. I charge $42 and only got $39.85 Instead of a $1.50 fee like it said there was a $2.15 fee. It’s not much, but it’s still annoying. 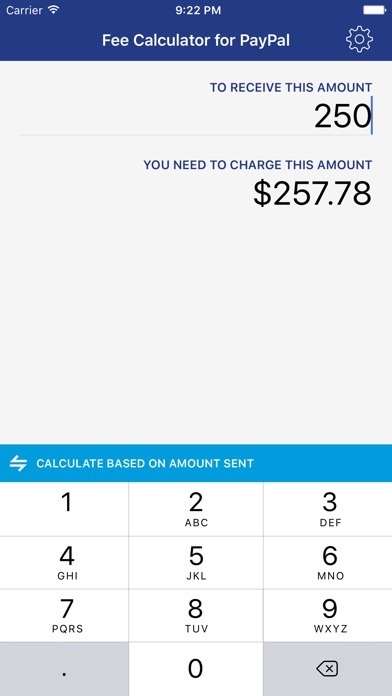 its a good app, does what its supposed to do but i don't like the fact that it only has a dollar currency and app that only made to calculate money must have all currencies and the option to change in between them. Love how quick and easy it is to use. The ability to change the fee setup was nice also. 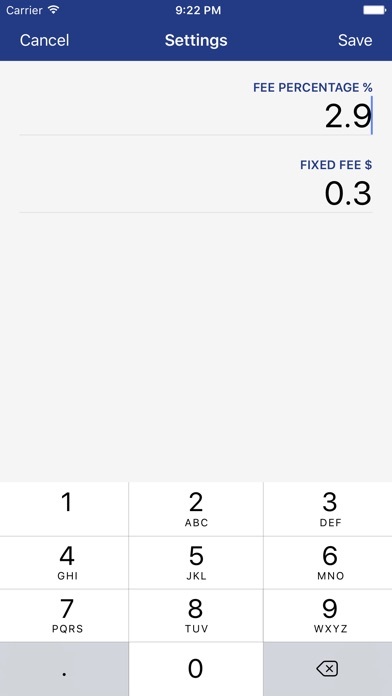 This app is amazing; although it would've been great if a feature is implemented where we get to select our own percent rate on what to calculate the fees from, this app still gets the job done and I find myself opening it every time I need to send a PayPal invoice. It doesn't get anymore simplistic, definitely give this app a try!! Percentage isn't accurate and no ability to manually change it. Used it once and I love it already, easy and simple to use.